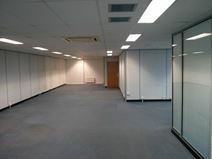 Situated in a prime city centre location, these offices provide a clean, simple and high quality environment for work. The centre has fantastic transport links, only a five-minute walk to the bus station and just 12 minutes to the train station. The property is accessible 24-hours a day for tenants, there is high speed-internet and a kitchen. The building is full of entrepreneurs, boasting a friendly community. 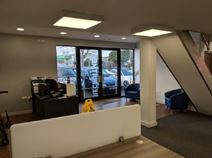 This recently renovated business centre has offices offered furnished or unfurnished as part of a great package of benefits. The building stands in central Norwich, within walking distance of the mainline railway station and the city centre. The office accommodation provides a great range of services and facilities including conference rooms, staffed reception, maintenance, security and parking provision. The rates are all inclusive of heating, electricity and business rates. 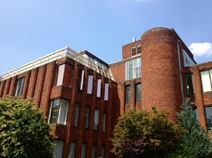 This self-contained office building is situated in a prominent position opposite Norwich Cathedral. Offering a mix of open plan and cellular office spaces on three floors, this is a comfortable business environment ideal for a range of business types. Transport links are good, Norwich Railway Station provides regular services to Ipswich, Cambridge and London Liverpool Street. Norwich International Airport is within an easy commute. This space is well located in Norwich City Centre, just over five minutes' walk from Norwich Railway Station, with frequent, direct services to London Liverpool Street. On-site amenities include a reception area, meeting rooms, break-out and lounge space, conference facilities, CCTV for added security and access to showers. Car parking is available, which is a major benefit for commuters to this centre. This period building is located in one of the most desirable areas of Norwich just two minutes from Norwich Cathedral. Eight offices of differing sizes are available on the second and third floors. This centre, based in the heart of beautiful Norwich, offers brilliant coworking space for young companies based in the city. The centre's all-inclusive rate (monthly bill includs utilities, service charge, internet and business rates), and 'easy-in, easy-out' terms give tenants an abundance of flexibility. Membership comes with eight free hourse of meeting room use, use of kitchen facilities, and 24/7 access. Meeting rooms are fully equipped with AV equipment, WiFi and beverages. The centre also offers hotdesking memberships, which allow for weekday, working hours access. The centre's prime location means it is just an eight-minute walk to Norwich station, which gives direct access to London Liverpool Street station. Close to the Norwich inner ring road, this striking modern development provides high-end office accommodation suitable for all sizes of company. Offices are available with a good choice of services and facilities including business support and staffed reception, kitchens, IT infrastructure, meeting rooms and parking. The site, on a prominent spot, has good road connections for all major routes and the motorway network. 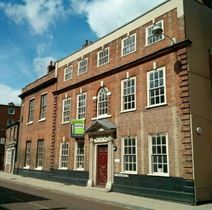 Just 50m from a busy shopping street and right next to the bus station, these small serviced office spaces are in the heart of Norwich City Centre and can be provided unfurnished so you can bring your own furniture. Tenants will find the building ready to go on a technology level, with phone systems and broadband available to rent. Meeting rooms are also available for free - allowing you to host clients in a professional environment. Located on the outskirts of Norwich, this open plan centre has a range of offices available, ranging from 170sqft to 1500sqft. Potential tenants will have control over their design and layout options, enabling them to build their brand in whichever direction they wish. The centre also benefits from kitchen and toilet facilities. The centre is located just off Sweet Briar Road, adjacent to the retail park that contains an Ikea and Asda, as well as other stores. Tenants can benefit from 24 hour, 7 day access and onsite parking. This office spaces gives your company the opportunity to design the space and the layout to suit the identity and the requirements of your business. The office space is modern, spacious and open plan and has recently been refurbished to offer a high-quality working environment. The building has many fantastic facilities including; air conditioning units, LED lighting and break out areas. There is also plenty of on-site car parking available. This large modern building provides bright office space that can be let either furnished or unfurnished. Situated close to Sloughbottom Park which is the ideal place to take a lunchtime stroll.